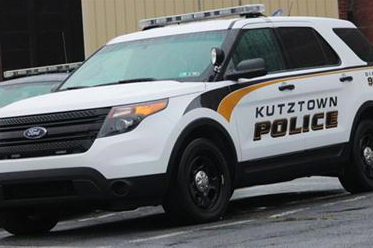 It may have seemed unthinkable, but the Kutztown Police Department may be the first law enforcement agency to ever successfully incentivize a field sobriety test. Authorities in the Berks County community took to Facebook on Wednesday for an unusual request. They need three people to get hammered so that they can train their officers in administering the notorious test of motor skill impairment. The response to the post was rapid and widespread, generating more than 600 comments and 1,000 shares. Police, who confirmed they would provide the booze, quickly found their volunteers. "Thank you all for your interest in helping us out!" the department said in an update Thursday morning. "We have had an overwhelming response for this and at this point we have enough volunteers for this training." The real question is, why not more than three? People tend to have different responses to the test that often go beyond the question of whether they're intoxicated. Wouldn't it be better to show a broader range of what these officers will encounter? The effectiveness and accuracy of these tests have long been called into question by statistical research. In any case, the comments, predictably, were gold. "This site is being prejudiced against people over 40," wrote one woman. "All drunks matter." "Will this count for my community service?" asked one man. "Kutztown is a college town, everyone's drunk," said another man. Here's to hoping Kutztown police share a video of this training session.